1990. Watersheds of E. Jefferson Cty. Originated pilot project funded by Puget Sound Water Quality Authority (now Action Team). 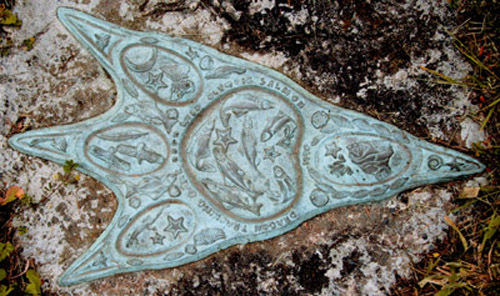 Design and sculpting of bronze "Dragon Tracks" marking places where the public would find twelve aspects of the Hydrologic Cycle in Jefferson Cty. A Watershed Tour. US Environmental Protection Agency National Conference 2001. Invitational presentation of Dragon Tracking Game significance.